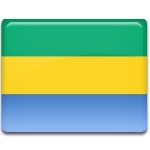 The Gabonese Republic celebrates its Independence Day on August 17. This national holiday commemorates the independence of Gabon from France in 1960. The festivities usually last for two days, August 16 and 17. Restoration Day is a public holiday in the Dominican Republic celebrated on August 16. 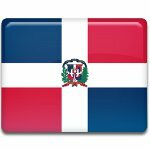 It commemorates the beginning of the Dominican Restoration War in 1863. The war resulted in the restoration of the country's independence. 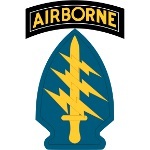 National Airborne Day is a special day designated to honor the U.S. Airborne Forces and the first parachute jump of 48 volunteer members of the U.S. Army Parachute Test Platoon on August 16, 1940. This day is annually observed on August 16. 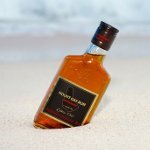 August 16 is National Rum Day. To celebrate this food holiday, treat yourself to your favorite rum-based cocktail or a glass room punch or even pure rum (if you are over 21, of course). 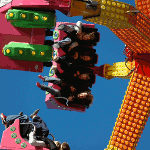 Children's Day is celebrated in many countries, but its date varies from country to country. In Paraguay, the holiday is observed on August 16 to honor the memory of the children who died in the Battle of Acosta Ñu during the Paraguayan War. 2018 Died: Aretha Franklin, American singer and pianist. She won 18 Grammy Awards and was commonly referred to as "The Queen of Soul". 2012 Police of South Africa fatally shoot 34 miners and wounded 78 more others during an industrial dispute near Rustenburg. The dispute started as a wildcat strike on August 10 and ended only on September 20. 1989 All trading on Toronto's stock market was halted due to failure of all micro chips. It turned out, that they were influenced by a geomagnetic storm, that was caused by a solar flare from the Sun. 1977 Died: Elvis Presley, American singer and actor, regarded as one of the most significant cultural icons of the 20th century. He is very often referred to as the King of Rock and Roll. 1973 Died: Selman Waksman, Ukrainian born American biochemist and microbiologist. In 1952 he was awarded the Nobel Prize in Physiology or Medicine for his discovery of streptomycin, the first antibiotic active against tuberculosis. 1964 Vietnamese general and politician Dương Văn Minh was replaced by a coup d'état in Vietnam. General Nguyễn Khánh became President of South Vietnam and a new constitution was established with the aid from the U.S. Embassy. 1958 Born: Madonna, American singer, songwriter and actress. She is known for reinventing both music and image of hers, and for maintaining her autonomy within the recorded industry. She is often referred to as the Queen of Pop and is cited as an influential figure among other artists around the world. 1957 Died: Irving Langmuir, American chemist and physicist, known for article on the arrangement of electrons in atoms and molecules. In 1932 he received the Nobel Prize in Chemistry for discoveries and investigations in surface chemistry. 1954 Born: James Cameron, Canadian film director, producer and screenwriter. He is known for being the director of the two biggest box office films of all time - Titanic and Avatar. 1946 Died: Margaret Mitchell, American author and journalist. Only one novel was published during her lifetime, Gone with the Wind, for which she won the National Book Award in 1936 and Pulitzer Prize for Fiction in 1937. 1946 The Muslims started the mass riots in Kolkata, capital of the Indian State of West Bengal. The riots caused death of more than 4,000 people within 72 hours. 1945 The Soviet troops captured the last Chinese emperor and ruler of Manchukuo, Puyi. In 1949 he was imprisoned as a war criminal for 10 years. 1938 Died: Robert Johnson, American singer, songwriter, musician, one of the foremost blues singers of the 20th century. His early death at the age of 27 rose different legends, including the Faustian myth that he sold his soul at a crossroads to achieve success. 1934 Born: Pierre Richard, French actor, director and screenwriter. He is best known for the roles of a clumsy daydreamer in many comedy films. He is considered to be one of the greatest and most talented French comedians of the last 50 years. 1929 The riots broke out in Mandatory Palestine, a geopolitical entity under British administration, carved out of Ottoman Southern Syria after World War I, between Palestinian Arabs and Jews. The riots continued till the end of the month, resulting in death of 133 Jews and 116 Arabs. 1920 Born: Charles Bukowski, American poet, novelist and writer, whose stories were much influenced by the social, cultural and beautiful economic ambiance of Los Angeles. His works address the ordinary lives of rich Americans, alcohol, relations with women and drudgery of work. 1920 American baseball player Ray Chapman was hit on the head by a fastball thrown by Carl Mays during the game between the Cleveland Indians and New York Yankees. Chapman died on the next day, becoming the second player to die from injuries sustained in a Major League of Baseball game. 1913 Born: Menachem Begin, Israeli politician, the 6th Prime Minister of the State of Israel. In 1978 together with Anwar Sadat he was awarded the Nobel Peace Prize for the preparation and signing of a peace treaty with Egypt. 1906 The city of Valparaíso, Chile, was hit by an estimated 8.2 magnitude earthquake. At least 3,886 people were killed. 1904 Born: Wendell Meredith Stanley, American biochemist and virologist. In 1946 he was awarded the Nobel Prize in Chemistry. He was working on the virus causing the mosaic disease in tobacco plants. His work led to the isolation of a nucleoprotein, that displayed tobacco mosaic virus activity. 1899 Died: Robert Bunsen, German chemist, known for investigation of emission spectra of heated elements. He discovered chemical elements cesium and rubidium and developed several gas-analytical methods. 1896 Skookum Jim Mason, George Carmack and Dawson Charlie discovered gold in a tributary of the Klondike River in Canada. This event set off the Klondike Gold Rush. About 100,000 prospectors migrated to Canada during the next 3 years to find gold. 1893 Died: Jean-Martin Charcot, French neurologist and professor of anatomical pathology, known as the founder of modern neurology. One of his greatest contributions to neurology is development of systematic neurological examination, correlating a set of clinical signs with specific lesions. 1888 Died: John Pemberton, American pharmacist, known around the world for invention of Coca-Cola drink. 1845 Born: Gabriel Lippmann, Luxembourger-French physicist, Nobel Prize laureate for discovery of a method of reproduction of colors photographically based on the phenomenon of interference. 1836 Died: Marc-Antoine Parseval, French mathematician, most famous for stating the theorem, now known as Parseval's theorem, that presaged the unitarity of the Fourier transform. 1832 Born: Wilhelm Wundt, German physician and philosopher, one of the founding figures of modern psychology. He became the first person ever to call himself a psychologist. He founded the first laboratory for psychological research at the University of Leipzig, that marked the birth of psychology as an independent field of study. 1744 Born: Pierre Méchain, French astronomer and surveyor. He is remembered as one of the major contributors to the early study of deep sky objects and comets. 1705 Died: Jacob Bernoulli, Swiss mathematician and theorist, one of the most prominent mathematicians in the Bernoulli family. He is known for numerous contributions to calculus, however, he made the most important contributions in the field of probability. 1645 Born: Jean de La Bruyère, French philosopher and moralist. His most famous work is The Caractères, that was based on the life of French noble family.